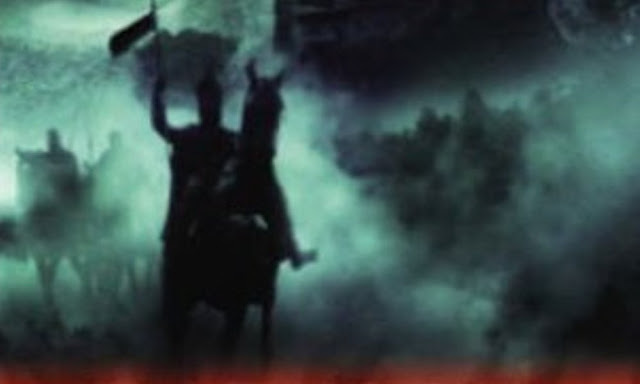 Over the time of their travels, culture clashes have gotten between the two Doctor Who companions, Peri and Erimem before but never more so than in this story where they arrive in the realm of Prince Vlad III, also known as Vlad the Impaler or his more colourful name, the son of the dragon; Dracula. The first living person our heroes meet won't be living long as he has been impaled and the peasant begs them to help him die. While the Doctor offers him what little comfort he can, Peri is shocked into nausea but Erimem believes him to be a criminal who got what he deserved and that death would be a swift way to end his pain. While they may narrowly avoid a wooden stake fate themselves, the TARDIS team are soon captured by Prince Radu but, when the camp of Prince Radu and his beloved Sultan is attacked, the team are scattered with Erimem ending up under the protection of Vlad, the Doctor helps Radu while Peri is swept away with a peasants who have turned into soldiers who fight for Vlad. Both the Doctor and Peri try to rescue Erimem from Vlad but she is happy and agrees to become his bride because she considers him a strict but just ruler. Finally, after she left the role of Pharaoh of Ancient Egypt she has met someone she understands completely and doesn't want to leave. It is obvious that is the turning point for the character as she debates on whether she wants to leave the TARDIS crew at the end of the story. As it turns out, a couple of stories later in The Bride of Peladon, she does. As with many of the audio and early television serials the story see the TARDIS crew land amongst an historical event and are swept along into playing roles in some vital turning point before they finally escape. As with all the historical stories we find the usual trappings. They are separated from the TARDIS, then separated from each other, one of the companions falls under the spell of the 'villain' and a rescue mission for the swooning companion has to be attempted before they can return to the TARDIS. But, like always, they are deeply interesting and make you want to go and explore that era of history. Its far more interesting than being stuck in some stuffy classroom learning about Vlad the Impaler from a textbook! SON OF THE DRAGON WRITTEN BY STEVE LYONS AND STARRING PETER DAVISON, NICHOLA BRYANT AND CAROLINE MORRIS AS ERIMEM WAS RELEAED BY BIG FINISH PRODUCTIONS IN SEPTEMBER 2007.